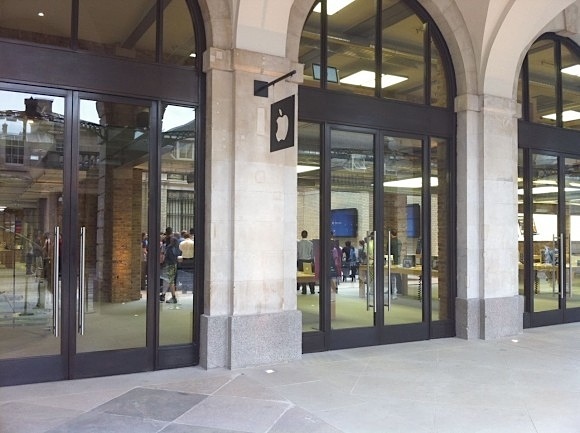 Apple’s Covent Garden store was subjected to another attack by opportunist thieves early Monday morning after a gang of around 7 moped riders raided Apple’s new retail presence with the intention of plundering Mac laptops, iPads and iPhones. News outlets are reporting that two members of the gang have already been arrested, with Robert Shoesmith – famous for his iPhone 5 experiment, in which he camps outside of the store waiting for the release of the company’s next iPhone handset – just metres away from the incident when it happened. 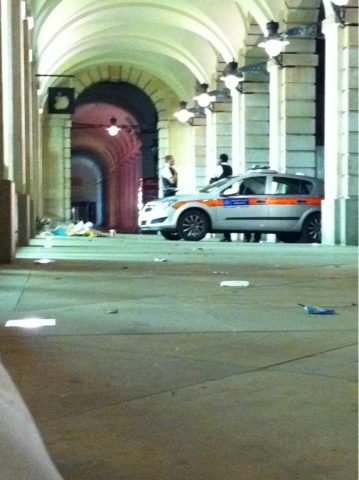 It’s around 1.15 am and the Apple Store in Covent Garden has just been raided! Woke up to hear a load of motorbikes zoom in and then a smash and grab. The layout of the Covent Garden Apple Store has Mac laptops at the front of the store, with iPhone’s and iPads further into the store to likely reduce the amount of devices stolen should thieves gain entry to the store. Detectives are appealing for witnesses and information after a smash-and-grab in central London. Police were alerted at approx. 01.00hrs this morning (Monday 10 October) to a window broken and property taken from the Apple Store in Covent Garden. It is believed there were around 7 moped riders / motorcyclists involved, most if not all with a pillion passenger. All persons were in full face crash helmets. They stole iPads and other similar devices. Shortly afterwards Islington police saw a moped and followed and attempted to stop it, but it was lost. A moped was subsequently found abandoned in the vicinity of Wyclif Court, St John Street EC1 – officers saw two men inside the block of flats, and they were pursued on foot and apprehended within the block at approx 01.20hrs. Some property, believed stolen from the store, was found in bags in their possession. The men [A – 16 ys; B – 21 ys] are now in custody at a north London police station. 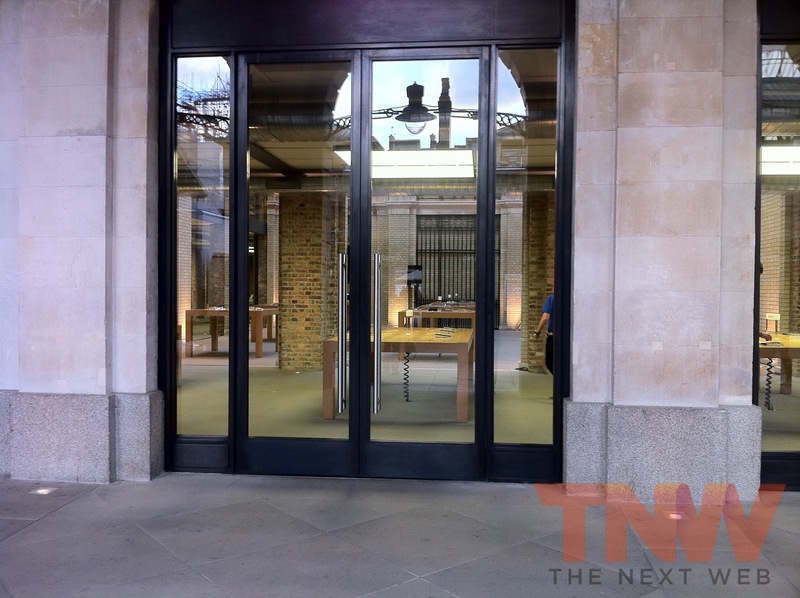 TNW reader @samclarke sent us these photos of the store as it was at 8am this morning. Apple Store security had blocked visitors from taking any further photos (click for bigger). 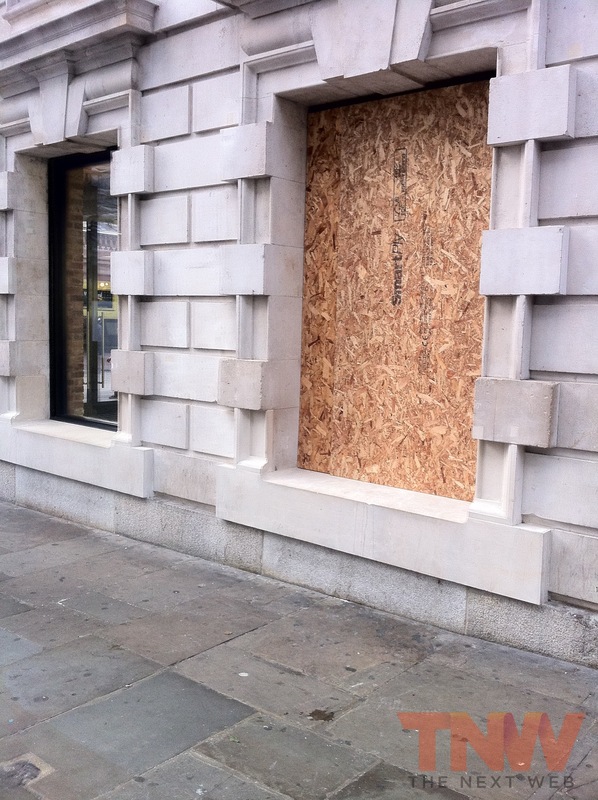 The Covent Garden store was targeted in a smaller attack a number of weeks ago, where vandals damaged the windows in an attempt to gain entry to the store. With Apple firmly in the spotlight following the announcement of the iPhone 4S and Steve Jobs’ recent passing, this would be the last thing employees would wish to see when coming to work.